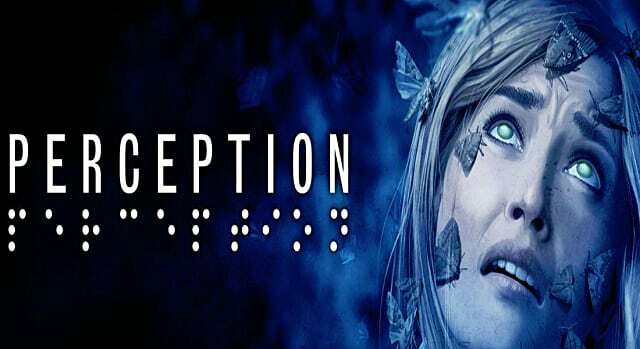 Ever since the Kickstarter campaign was announced way back when, Perception has solidly been sitting on our various lists of most anticipated horror games. 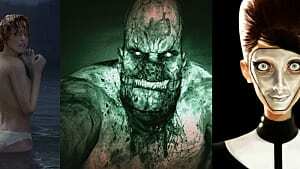 Indie horror directly funded by the fans has been stepping in and doing what the big publishers and studios aren't willing to do: offering genre fanatics everything from the surprise hit movie The Void to the recently-released Friday The 13th: The Game. The big draw for Perception, of course, is the game's primary mechanic: playing through a horror game as a blind woman. 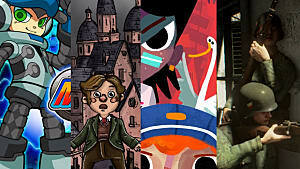 You are unlikely to see something that interesting or innovative from any AAA developers these days, and that's the power crowd funding offers for smaller dev studios. Something that wasn't clear from pre-release info is that there's actually a really interesting color scheme going on in Perception. It's not just the white, black, and blue you may have seen from the trailers. 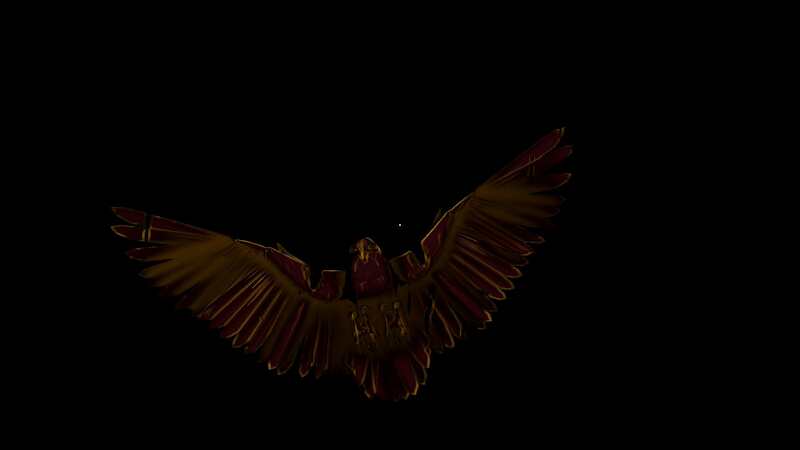 Instead, there are vibrant greens popping up in locations alongside memories to collect and dark oranges and reds flashing across the screen when something unexpected appears. The Deep End Games also cleverly overcame some of the restrictions involved with the main character being blind. 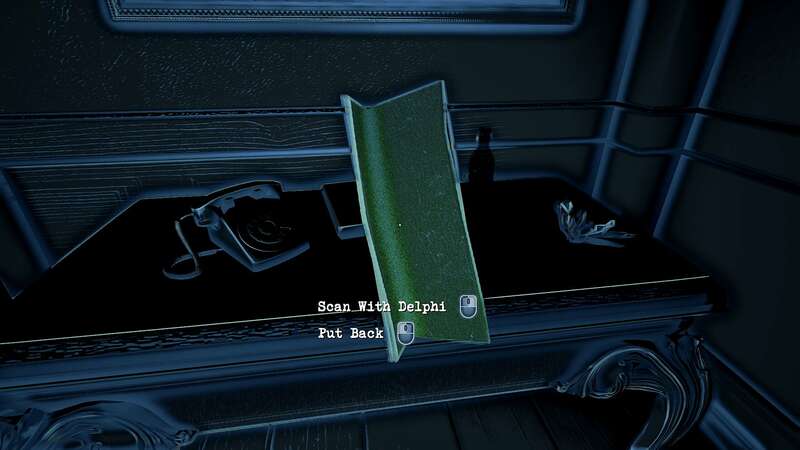 The echolocation mechanic lets you see the basic shape of objects, of course, but obviously, Cassie can't read the text on pill bottles, sheets of paper, and so on. That's a problem for these adventure/horror game hybrids, where the vast majority of the game is uncovering what happened through notes and journals. Whenever such an item is found, Cassie whips out her camera, snaps a pick, and then uses a text to speech program to see what's written on objects. In instances where this isn't feasible, instead, she uploads a picture so someone else on the phone can describe the scene, adding an interesting extra layer to the experience. 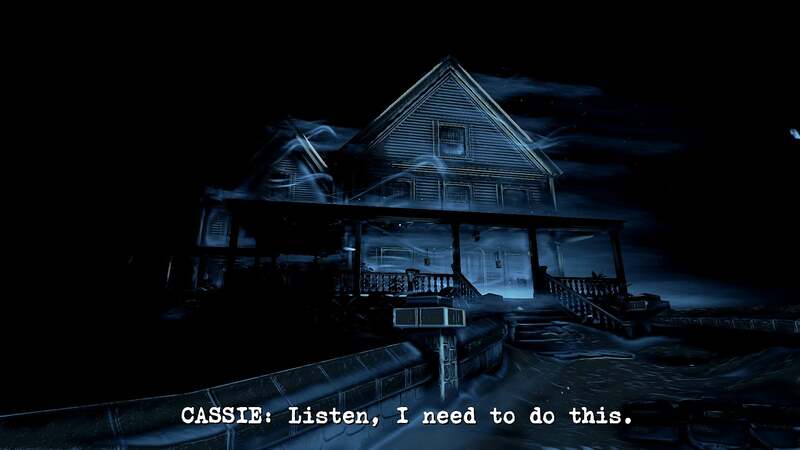 There are a couple of rather memorable times where Perception got me with some pretty good scares, like when the entity in the house repeated back something Cassie had previously said in a very creepy way, or when a red doll appeared out of nowhere and then faded away. 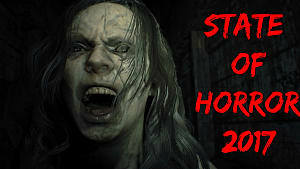 Other than the blindness aspect, the horror tropes on display aren't particularly refreshing or innovative, however. Lost memories of an orphanage where bad things went down and a couple traveling to an idyllic town to have a baby while bad things are happening with pregnancy are both pretty standard fare. Granted, there are a few twists in there along the way, like flashing back to different stories of people who lived in the mansion long ago, interacting with the ghosts of the past to uncover new information. In a lot of ways, Perception is essentially Layers Of Fear with a different color scheme. Personally, I really enjoyed that descent into the painter's madness, even though it was extremely light on gameplay elements. But now that several games have all been pumped out in that same style, the sub-genre is starting to feel a little played out. 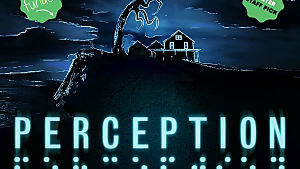 On that note, Perception is on a very similar level to Layers Of Fear on the gameplay front, too, with the player mostly just tapping the space button to activate echolocation while examining objects or listening to memories. 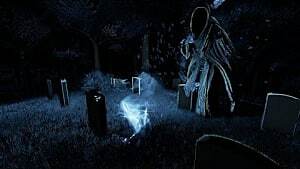 Occasionally, if you tap too often, Cassie will have to run and hide from enemies, but overall, the experience is quite similar to other horror games in the subgenre. Cassie is much more chatty than the mad painter, and she obviously has a very different viewpoint and personality, which may shatter the overall experience for some players. If you find her quips and one-liners ruin the horror vibe, the game offers an option to only have Cassie speak at plot critical segments. A lot of the game is experienced through memories and tape recorder segments, and while the dialog and voice acting aren't actively bad, there's something about them that feels off. Whether it's the writing itself or just the delivery, I had a hard time feeling immersed in the story and frequently found the dialog unbelievable. There's also an issue with the scope of the game that's worth mentioning. 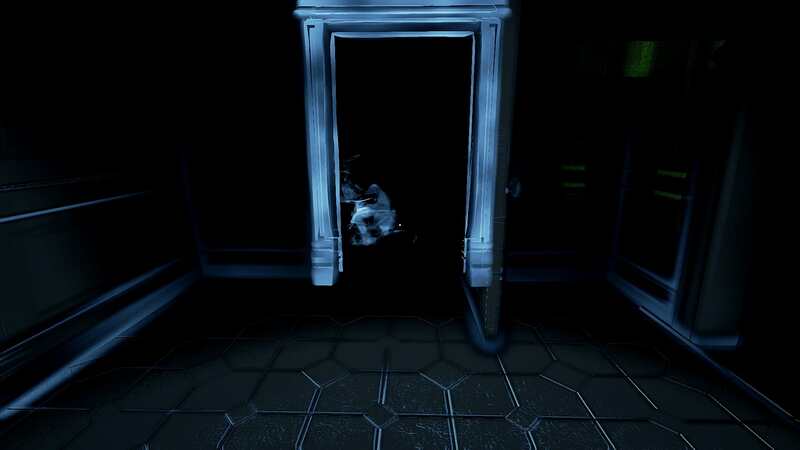 At first, it seems like the mansion is a large area due to the overall disorientation and lack of light, but quickly it becomes apparent that Perception is beyond linear. There's barely any play area at all in many segments of the game, but sometimes, even those tiny areas get frustrating in their overly similar appearance as the house re-arranges itself when you turn around to go back the way you came. Have I already walked through this door six or seven times? Despite all my raving about the wonder of indie crowd funding in horror, sometimes the lack of resources shows in the finished product, resulting in something that has the atmosphere but doesn't quite nail it on the mechanics - like Phantaruk or Inner Chains. That's what we are also dealing with here to a degree. 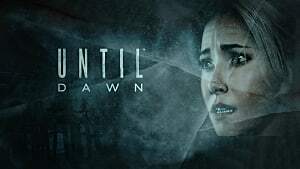 While there's polish on the graphical side and the base premise is a new twist on the adventure horror genre, overall the experience just feels like style over substance, with not enough meat on the gameplay or story for Perception to become truly memorable or beat out the competition. The unique blindness mechanic just isn't quite enough to overcome a bland execution and lackluster story. 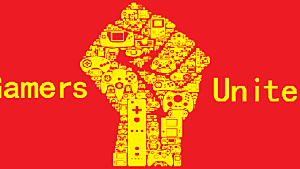 Gamers and their love for games gaining the potential to influence the Gaming World?